Suspects linked to the Charlie Hebdo massacre, Cherif and Said Kouachi, have taken a hostage at a business facility in a Paris suburb as French police close in on them. 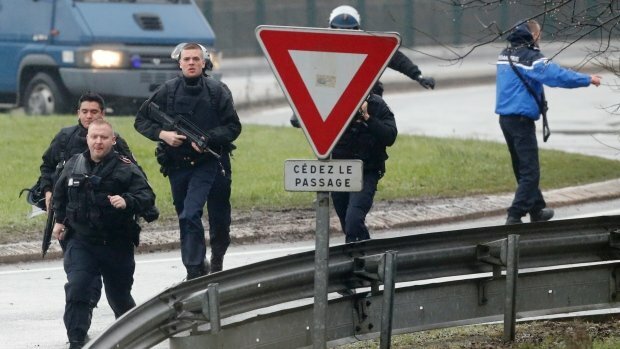 Shots have been fired and several people are said to have been wounded at Dammartin-en-Goele, 22 miles from Paris, but officials denied reports of deaths. Negotiations are now under way with police, reports say. The development comes nearly 48 hours after the attack on Charlie Hebdo‘s office, when 12 people were shot dead. The heavily armed gunmen fled Paris by car after the attack. A convoy of police vehicles has been seen heading by highway to Dammartin-en-Goele.